A couple of days ago John “Lhasa Apso” Culligan stopped by my store to pay me a visit. He was in Newport Beach visiting from Salinas. We told war stories for a few minutes. During our conversation he mentioned to me that he was returning the 508 one more time. One of the things, that made an impact on me was when he expressed how deep in to his psyche the 508 had gotten. I went further by saying what I think he meant to say — the 508 has gotten in to our souls. It was nice to see a Furnace Creek 508 veteran out of competition. The 508 is a non-draft legal 508 mile non-stop long distance bicycle race. Basically, it’s a 508 mile time-trial. It’s illegal to ride alongside a racer for more than just the time it takes to pass the racer. The evening before the event there are so many activities you can’t really connect. After the race it’s difficult as well since we finish all through the night. 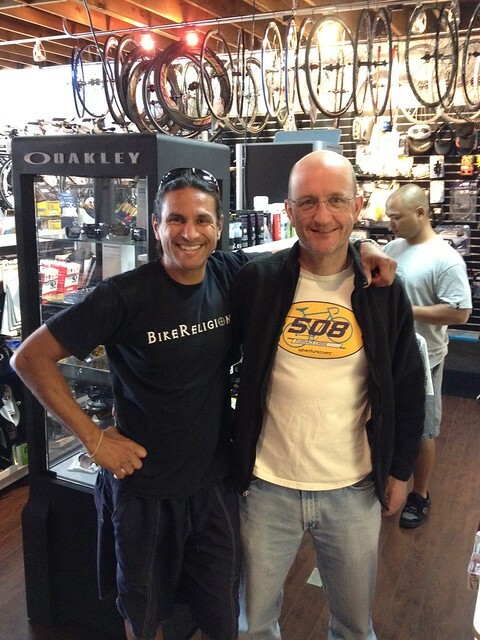 I believe now you can see how precious it is to spend time with a 508 solo racer. 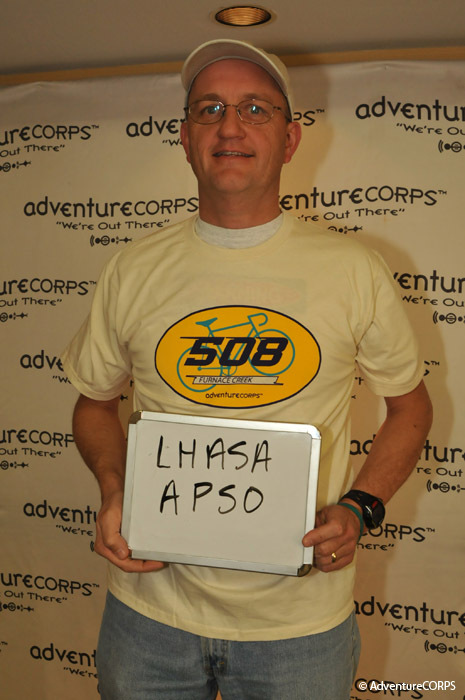 Good luck Lhasa Apso at the 2012 Furnace Creek 508! Just for fun John had this picture to share with me. This was taken on Day 1 of the 2010 Furnace Creek 508. It’s a great picture the photographed captured us both smiling. 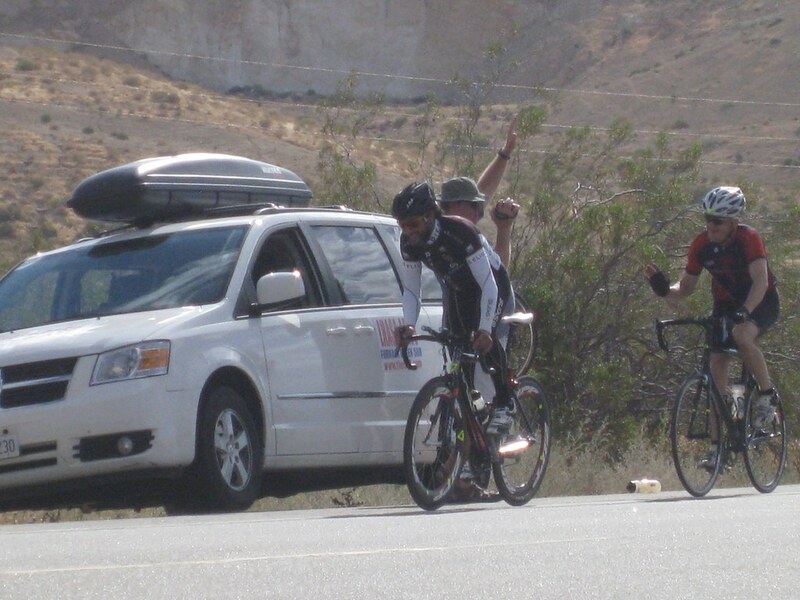 This entry was posted in friends, Furnace Creek 508 by REV Cycling Directeur Sportif. Bookmark the permalink. Thanks for the awesome shout out George! Well said! I really enjoyed our visit…thank you for the time you spent with me…you gave me alot to think about and try during my preparation. Keep the hammer down my friend! I’ll see you at the FC 508 in just a few short weeks! My heartfelt good wishes to you and your crew!